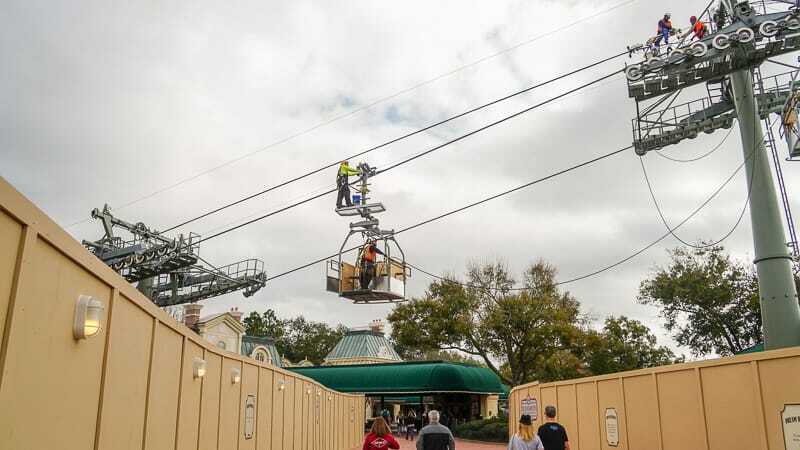 This is our Disney Skyliner Gondola Construction Update for February 2019 and lots of stuff is new this month so we have tons to share with you! Just since January so many things have been developing at a rapid pace it’s hard to keep up with it all! 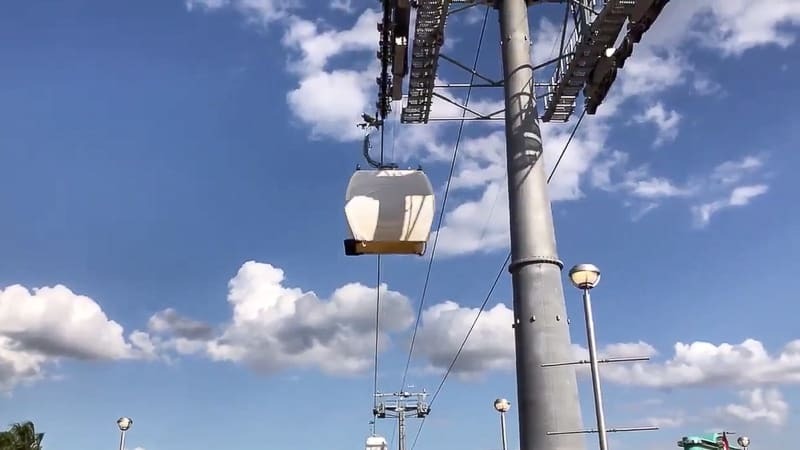 The most recent news is that Disney is testing not only the dummy cars, but also the real Disney Skyliner Gondola cars which will be used for guests to travel in once open, even at high speeds! 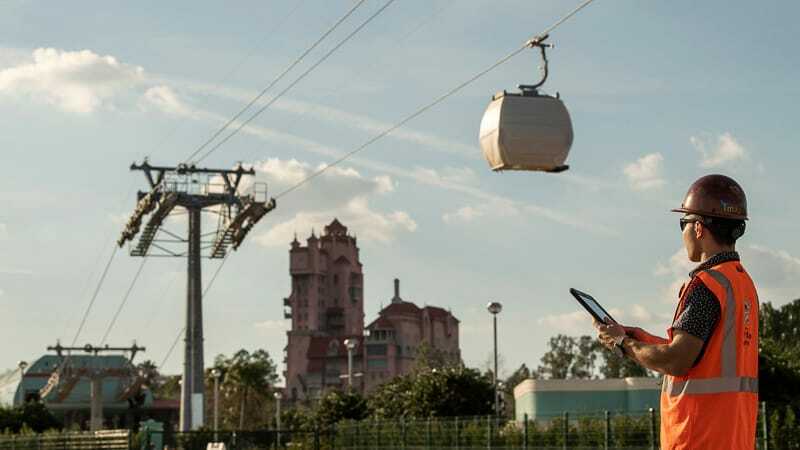 If somehow you haven’t heard of the Disney Skyliner, basically it’s a new transportation system coming to Walt Disney World which uses suspended cable cars to transport guests to and from the Disney theme parks. 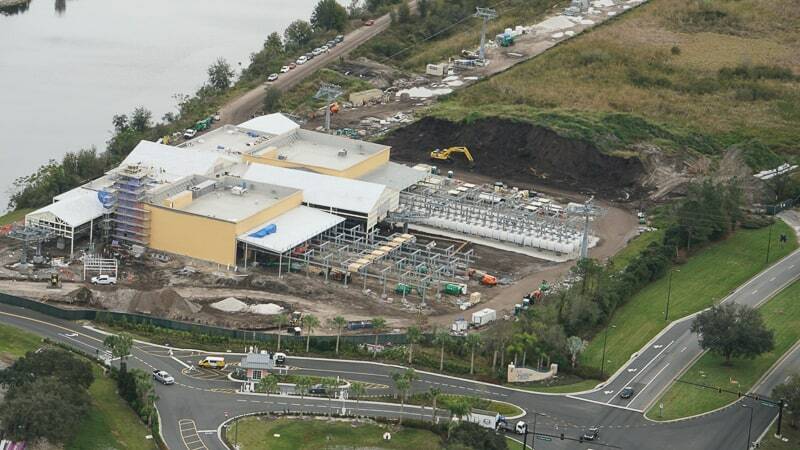 Think the old Disney Skyway which used to be in Disney’s Magic Kingdom, just on a bigger scale. 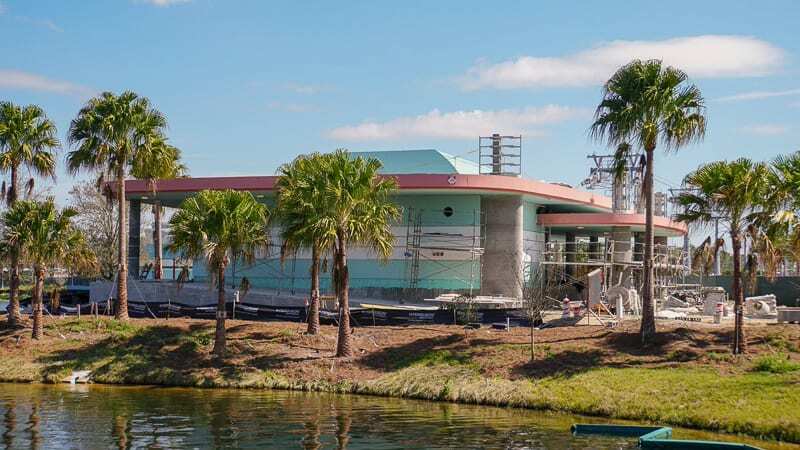 We won’t go into too much detail in this post as we want to concentrate on the latest construction updates for the project, but this transportation system will connect Epcot, Hollywood Studios with the Caribbean Beach, Art of Animation, Pop Century and Riviera Resorts. 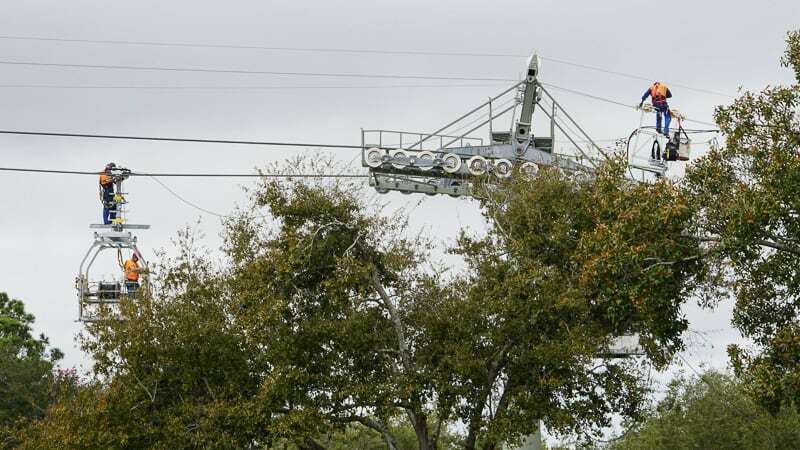 For more info about the Disney Skyliner project you can read it here. 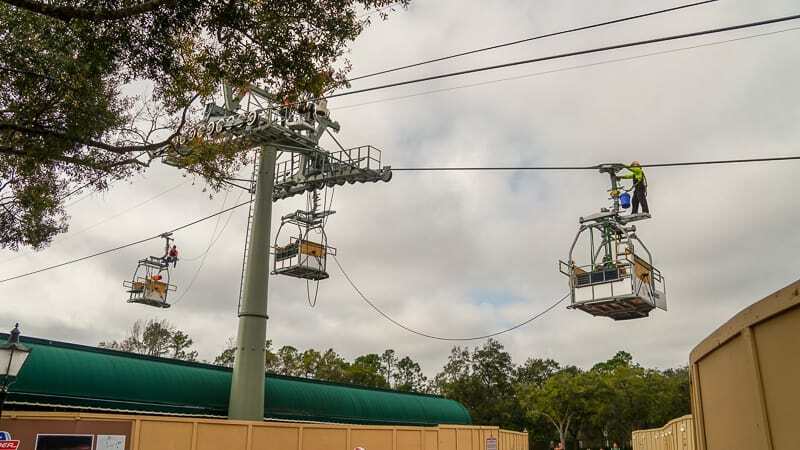 In our last Disney Skyliner update we saw the beginning of the Skyliner gondolas being tested from the actual cables, though the gondolas we saw were dummy ones just used for maintenance purposes and testing. 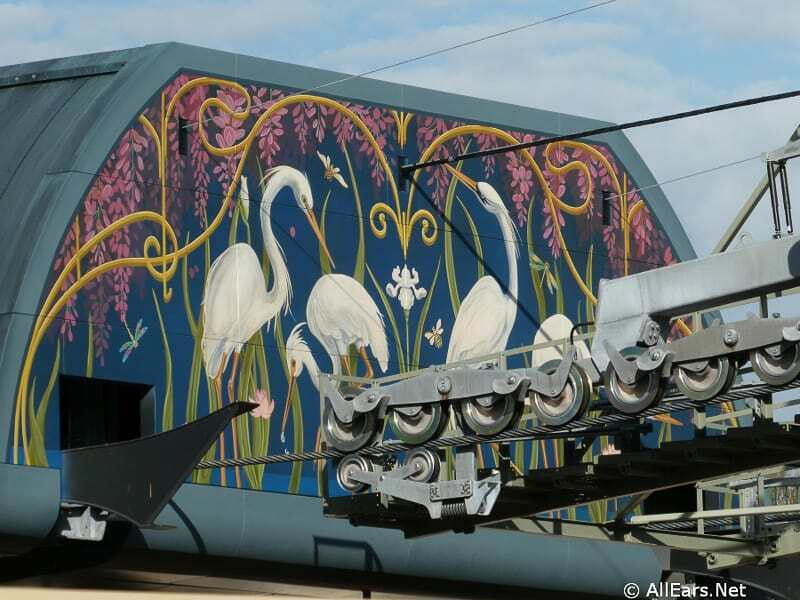 In this update for February we saw more of that earlier in the month, but Disney has also been testing the real Skyliner gondola cars too and we have an update from Disney with a video as well. 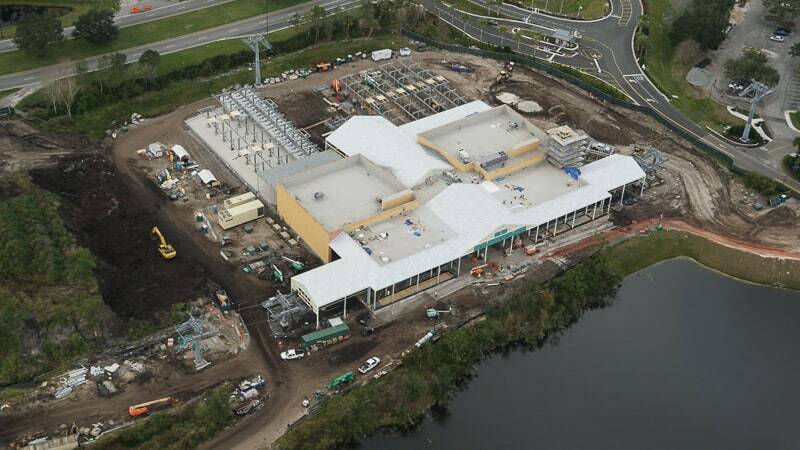 This station is located right outside the International Gateway and will provide guest transportation to Epcot’s back gate. 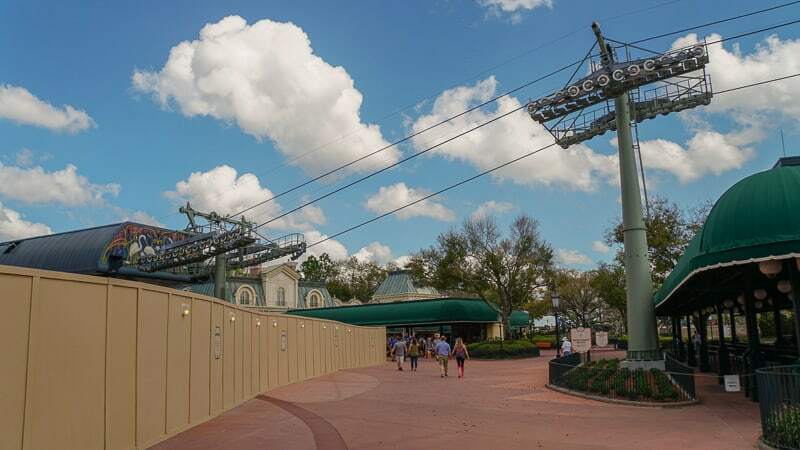 It will also pass right by the New France expansion in Epcot which will have a Ratatouille-themed attraction much like the one you can find in Disneyland Paris. 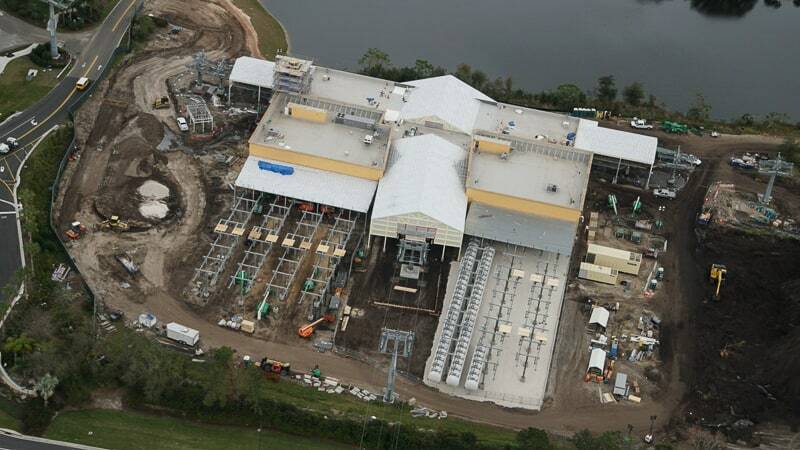 One thing is for sure, it’s going to be a great view from up above even though many are split on what the Disney Skyliner will do to the views from inside the park. 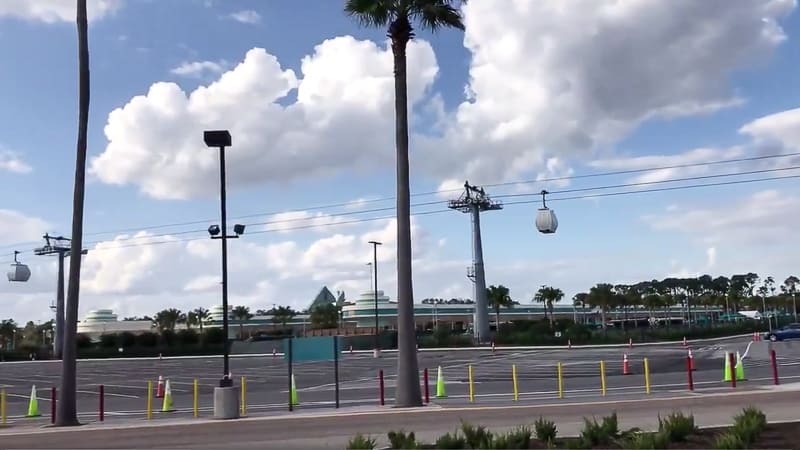 Overall it’s really good to see them testing the Skyliner this early as we’re still only in February. There is some optimism that Disney could actually be a bit ahead of schedule, but they definitely won’t rush the opening until everything has been checked and checked again. 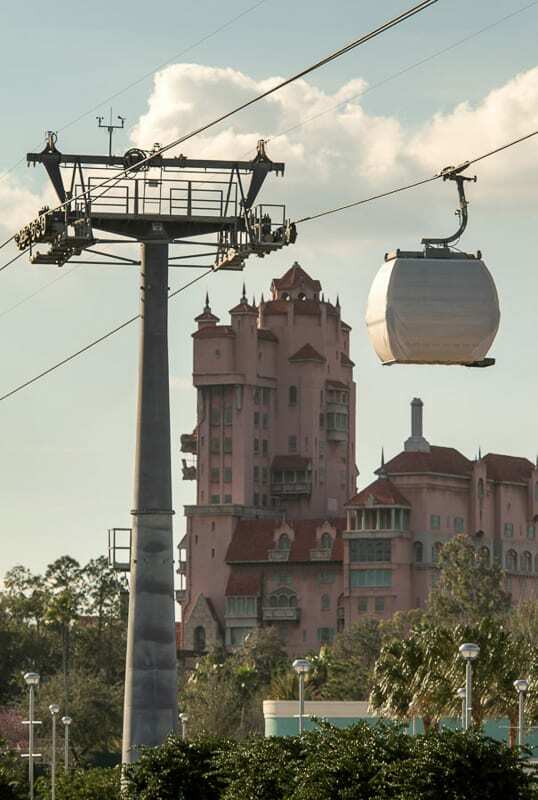 Two types of gondolas are seen here used in testing. 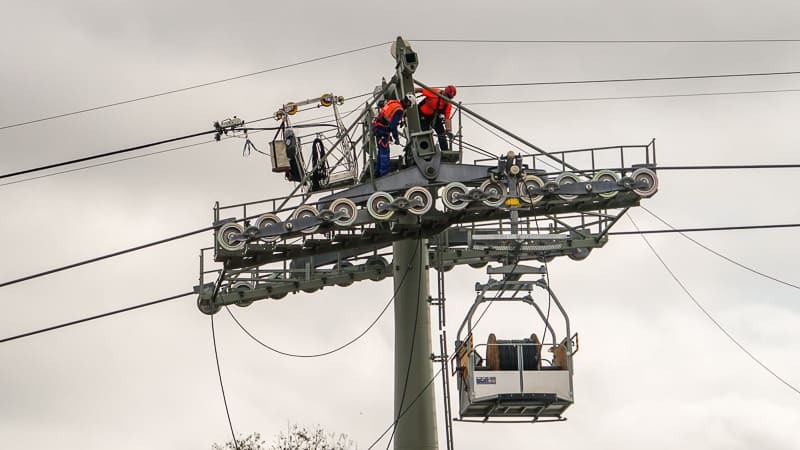 The top one is a manually positioned gondola and the bottom one is a standard service gondola. 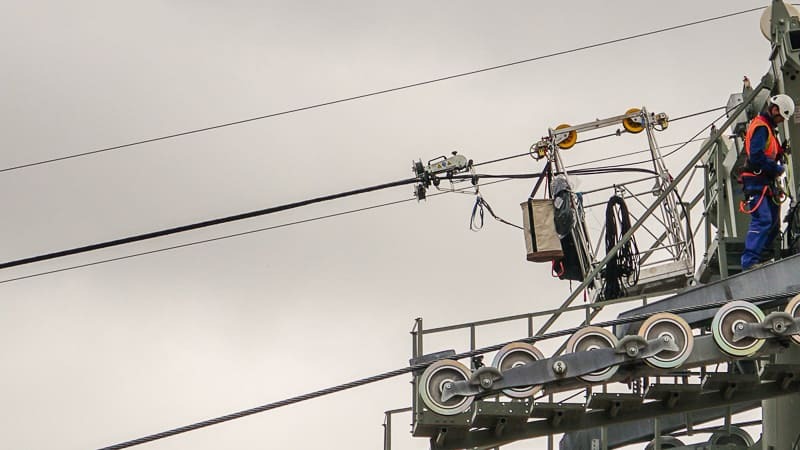 They are also placing communication wiring on the center wire. 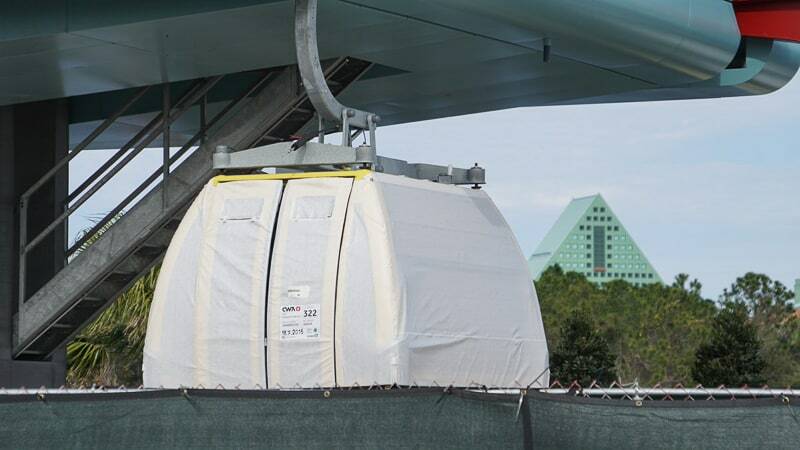 The test-run gondolas recently traveled across Victory Way between the stations at Disney’s Caribbean Beach Resort and the station at Disney’s Hollywood Studios. 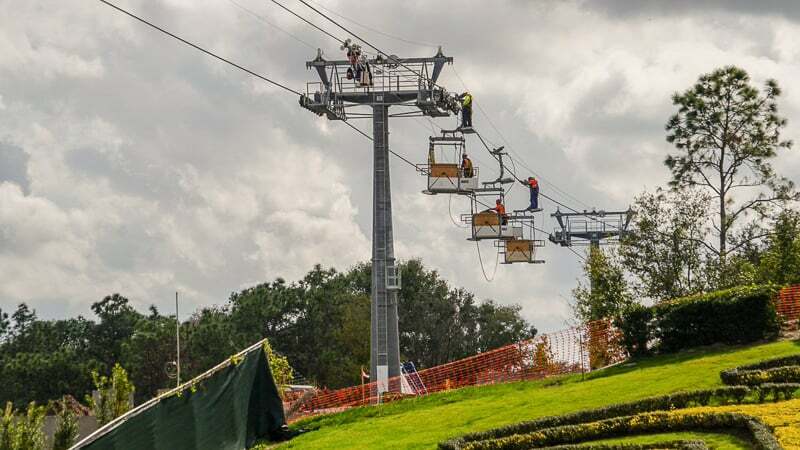 Walt Disney Imagineering associate project manager Steve Pratt said there will be more gondolas added and cycling on the line as teams continue testing and training. 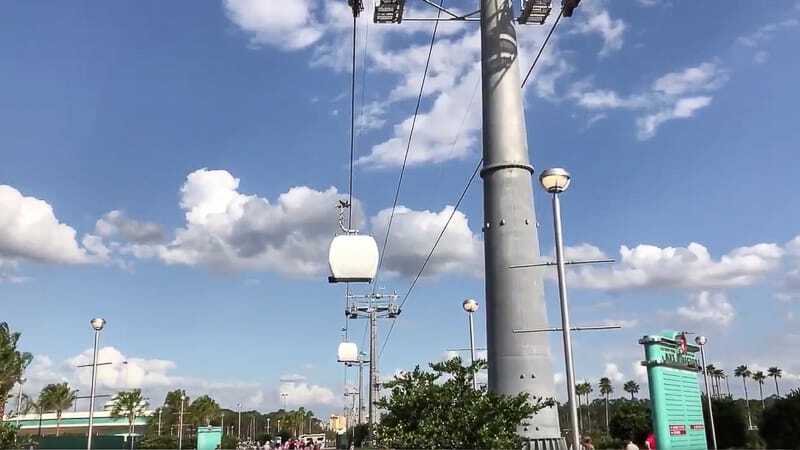 As you saw a few days ago, the Disney Skyliner has been very busy in testing, even moving along at high speeds and with the actual Skyliner Gondola cabins. Unfortunately they are still covered, but it’s still nice to watch them even under the covers. 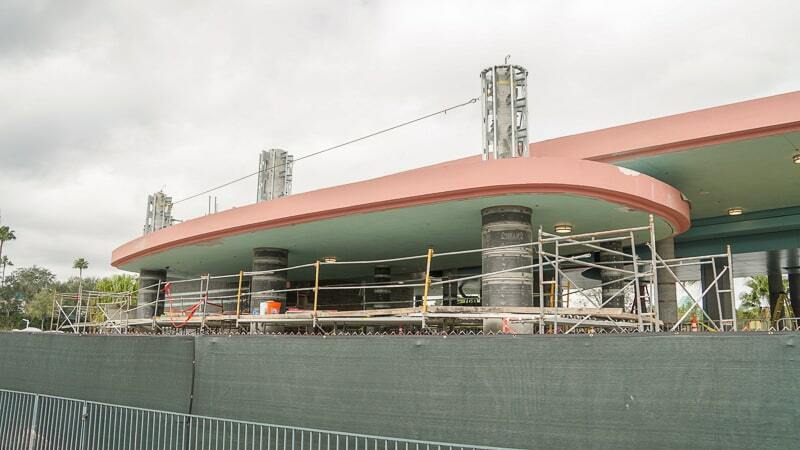 Before we see more of the Skyliner in action, let’s look at a few of the stations around property and see how they are progressing. 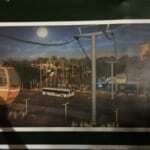 While the station is found on the left, on the right you’ll notice quite a change too. 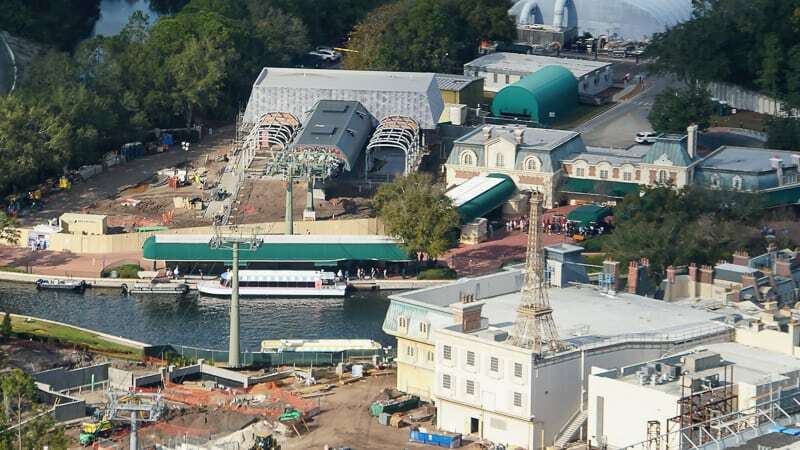 The construction walls have been taken down from around the Friendship Boats dock and it’s now open. Much nicer looking! I don’t like this one as much, but it certainly fits in with the 50’s Hollywood vibe in its colors and styling. 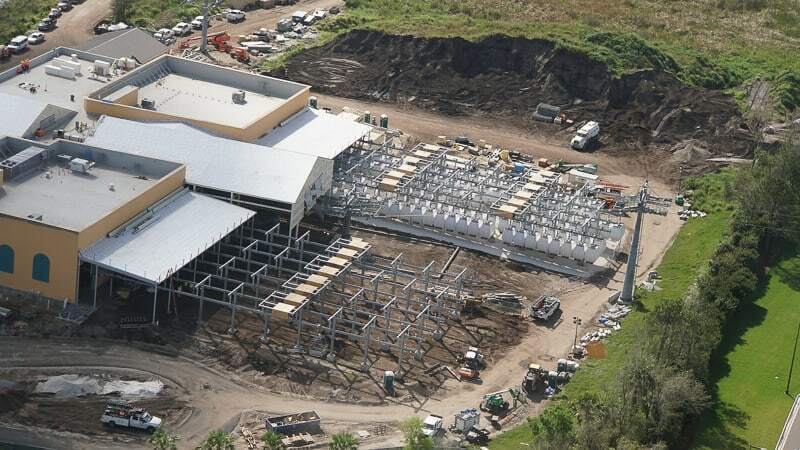 The sheer size difference stands out and the front entrance looks huge. 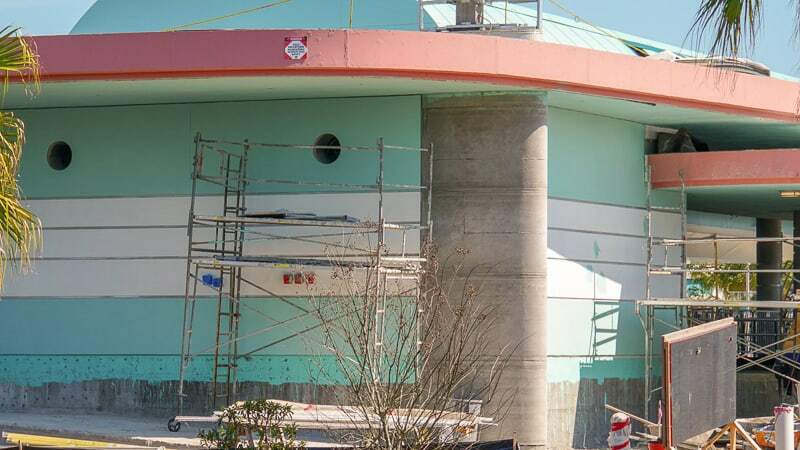 A lot of the paint work seems to be done on the backside. 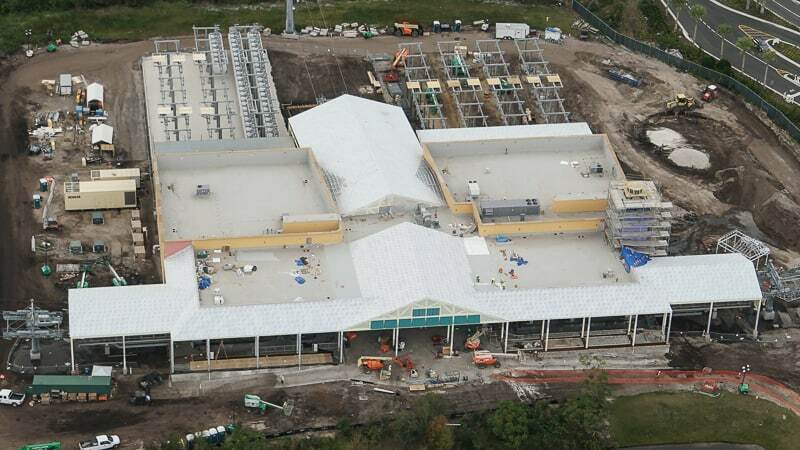 From zooming in and counting a bit, it looks like there could be as many as 160 gondolas on that side of the station, meaning probably more than 300 will be held here when complete. 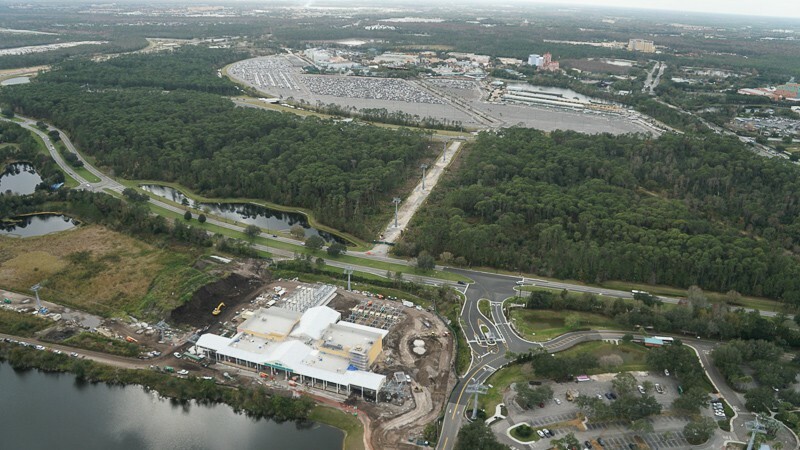 From here the gondola cars will leave three ways, over to Pop Century/Art of Animation, to Hollywood Studios and Epcot. 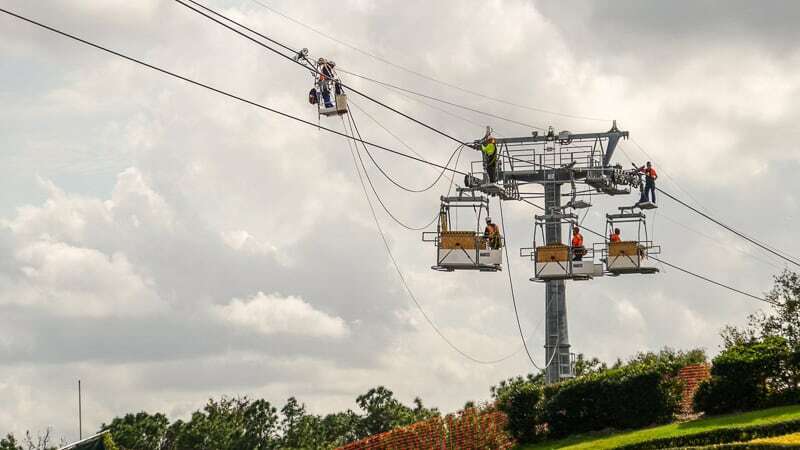 The Disney Skyliner doesn’t have an exact opening date yet, but Disney is still saying Fall 2019. 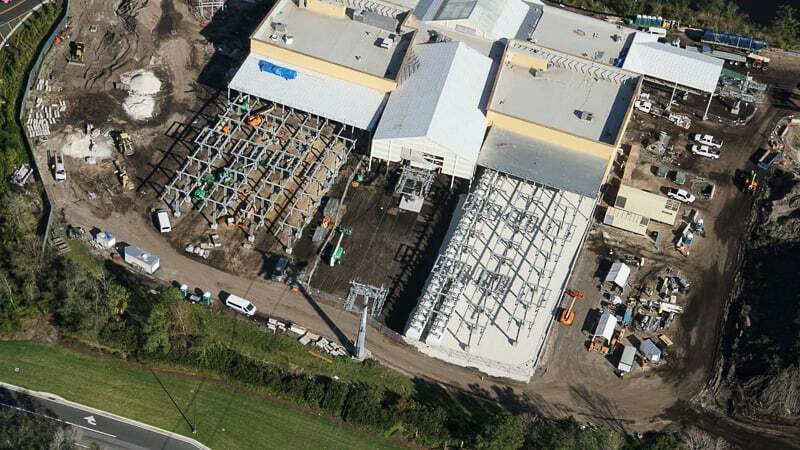 Things have to be finished by the time Star Wars Galaxy’s Edge opens up, we could even see the Disney Skyliner open in September/October if things keep going smooth. 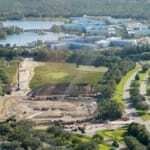 They need to have it all worked out though before Galaxy’s Edge as it will be crucial to the guest transportation for this new land. 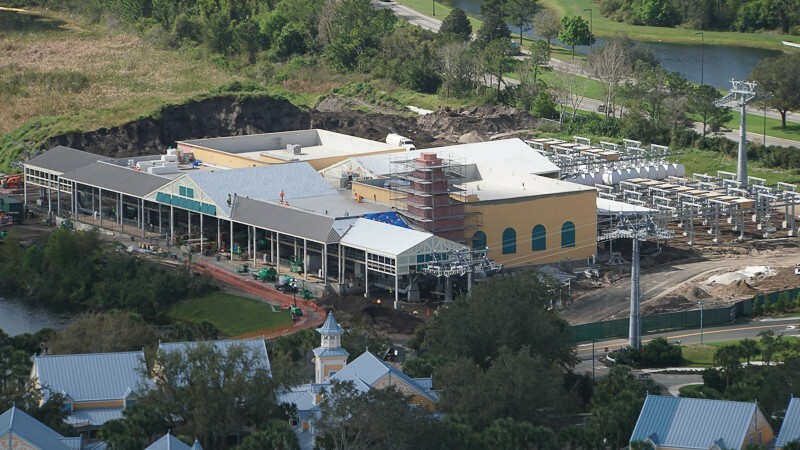 Be sure to check out our Walt Disney World Construction Updates post for more progress on all the projects going on around Disney World as we continue to bring you the latest! Stay tuned with Ziggy Knows Disney for more updates and info….